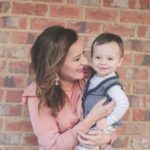 Welcome to Littles Style again with me and my co-host, Molly from Stilettos & Diapers! 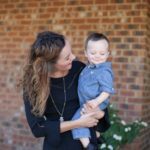 Littles Style is meant to help mommas find style ideas for their kids, themselves, and even how to dress WITH their kids. 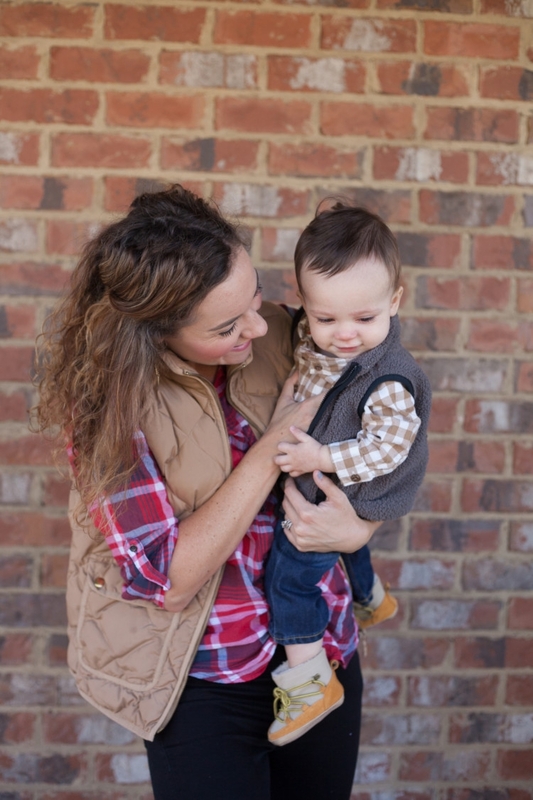 Today, Leyton and I will be showing mom and baby fall style TOGETHER. We’re bringing our A-game for this one! 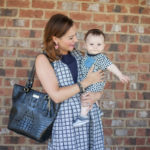 It’s all things momma + style, which we can all use a little dose of to cheer us up this morning, am I right? I don’t know about you, but this has been an incredibly busy and stressful week so far. We are leaving town for Thanksgiving so it feels like everything is jam-packed into this week. Everyone that I talk to is having the same sentiments, so the cheer I’ve got for you today is a BIG giveaway (which you’ll learn more about at the bottom of the post) and some baby cuteness. Our other co-hosts showing off their Littles Style are Take Time for Style, The Chirping Moms, Southern Mama Guide, and Annetka’s Photography. 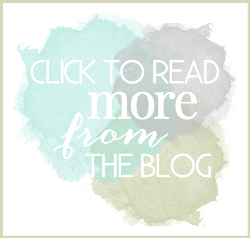 We hope you enjoy all our ideas this month and go check out these fabulous ladies! You know how I said Leyton and I brought our A game for this post? Sadly, that’s not completely accurate. We had the best intentions but, during this photo shoot with Casey, Leyton was unusually fussy and just couldn’t be calmed. We ended up having to take several pictures without him because his little red eyes and runny nose from crying just weren’t that cute and he was NOT having it…poor bud! After Casey left, I found out Leyton had a 102 degree fever. No wonder he wasn’t up to a photo shoot! I felt so bad for him. Luckily he’s in the latter stages of his cold now and we hope that runny nose will leave very soon. 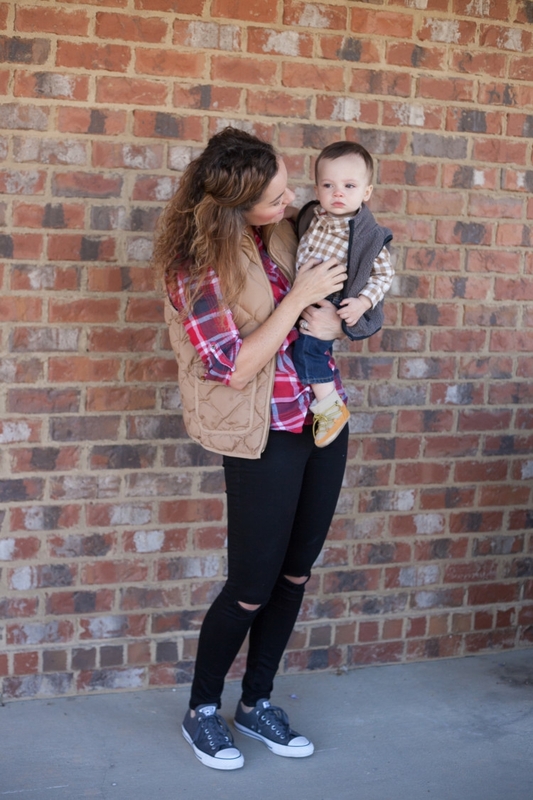 I love his cute little vest on him and paired it with a neutral plaid collared button down that has snaps at the bottom. Yes please! I wish all clothes up until they were 2 years old had this. Leyton is really small for his size so even though I wanted to put him in his 7 for all mankind denim, those jeans are still too big for him. 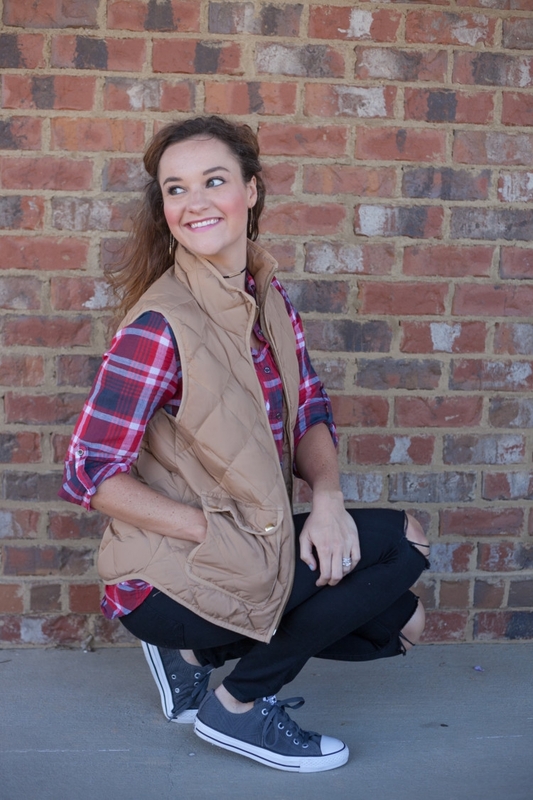 Since I wanted to match Leyton but not to the point where it was exact, I simply put on my red plaid shirt from CottonOn and topped it with my neutral vest I’ve had for years! In case you haven’t heard of CottonOn, they are a company out of Australia that I got a TON of my fall and winter basics from last year when they were having a big sale. I got so many sweaters, tunics, plaid shirts and camis from there. 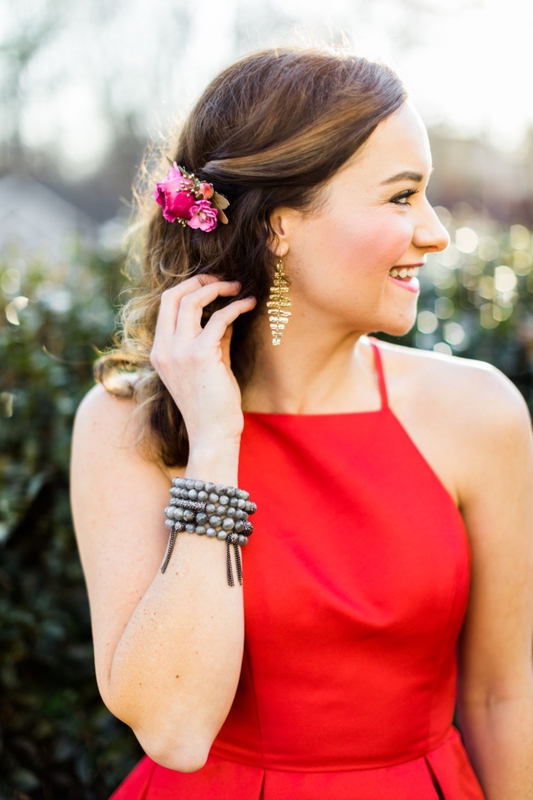 It’s a great place to shop for the diva on a budget and I love their trendy pieces. I did share on my IG Story (@mylifewellloved) that the first time I put on my athletic pants they ripped a bit but otherwise I haven’t had any problems with them. I got this pair of Converse on sale at Von Mauer last year and have loved wearing them with Pure Barre clothes, on play dates, and on casual errand running days around town. You guys are probably sick of seeing me wear these black ripped denim jeans all the time, but I truly love them. I keep alerting you guys when I see them on sale on IG and my Facebook page, so keep an eye out if you love them. They truly are very comfortable and I like the edgy feel of the rips. I got a kick out of my photographer Casey when I put on this outfit because she said, “Yes! That is my every day fall uniform!” And truly, that’s what it is. This outfit is cute, comfortable and looks put together. I just got this choker and another one in a duo pack at Target for less than $15 that I wear so Leyton can’t yank on it like a long necklace. I find this whole outfit to be super mom-on-the-go friendly. 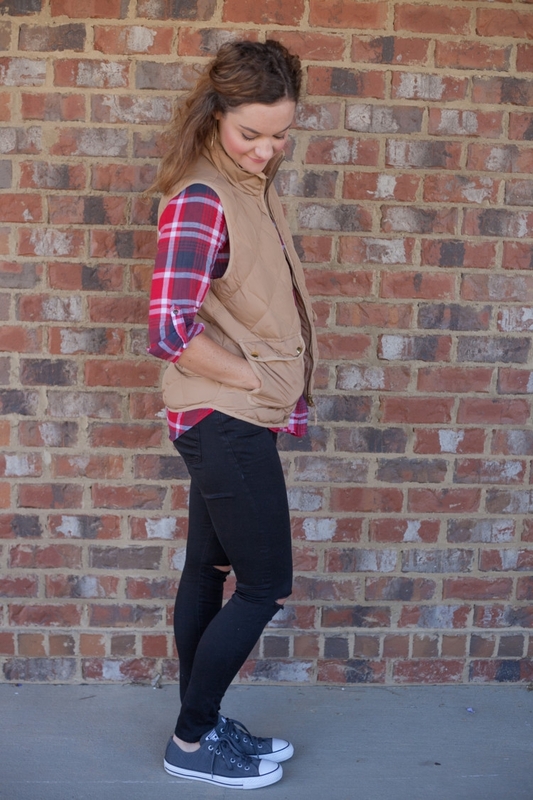 You could also wear this same outfit with some OTK boots, riding boots, TOMS, or with a simple dainty gold chain. So many options with this wardrobe starter outfit! 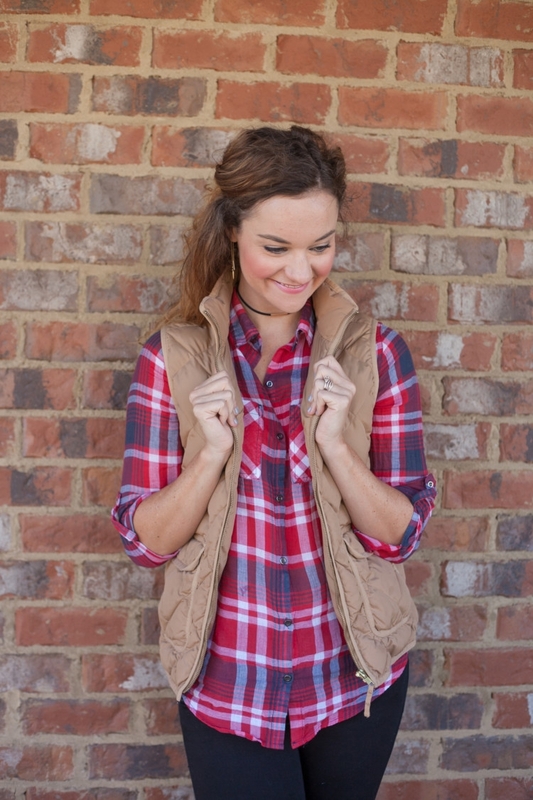 I venture to say you probably already have a vest, plaid shirt, and some skinny jeans you could piece together for tomorrow’s OOTD! Now, it’s your turn. 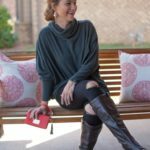 What’s your mom and baby fall style go to? 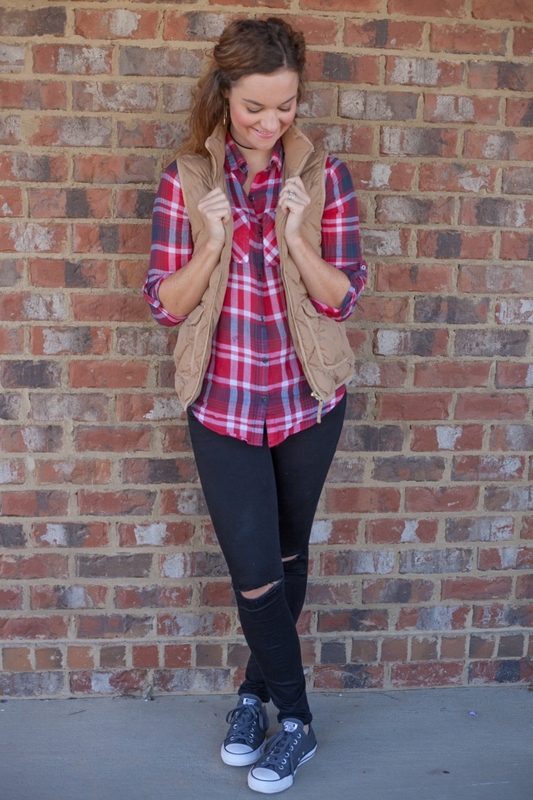 Or if you don’t have kids your fall outfit go to? You two look so fab! Dying over those teeny boots! Adorbs. I know right?! I’m obsessed. My grandkids and I like comfort too. I like leggings or jeans with a vneck shirt and cute boots. Hi Dawn! You sound like a woman after my own heart. 😉 Rock those boots, lady! Enjoy your Thanksgiving! Your son is adorable. I love the mix of plaids in your outfits!